Walkerstone Training delivers big returns to its customers – value for money, effectiveness and productivity. Consequently, demand for its services has risen 50% over the past six months according to Richard Walker, CEO of Walkerstone. This entry was posted in Which Open Source Blog and tagged Company, Customers, Delivers, Fast, Growing, Returns, Training on March 6, 2013 by Administrator. Box-set sales have continued to increase as customers increasingly prefer their collectability and functionality for storing media. Multimedia box-sets that include entertainment, software, books, and music, are increasing in shelf presence and market demand. To meet this demand and support growing business, it is crucial for disc publishers to be able to provide disc packaging that is eye-catching, customizable, durable, and functional. For 25 years, Univenture has been a global source for custom solutions in disc packaging and multimedia box sets. Bringing together a full line of wallets, binders, and sleeves with a range of custom printing and decoration capabilities, Univenture delivers products that are more environmentally responsible, functional, and cost-effective. This entry was posted in Which Open Source Blog and tagged BoxSets, Disc, Fast, Increase, Multimedia, Publishers, Sales', Shelves on March 5, 2013 by Administrator. e-SignLive, the online, on-demand electronic signature service for mid-market and small businesses in compliance-driven industries, today announced that Insurance Management Group is using its electronic signature solution to collect signatures on all important and time sensitive documents. In an effort to be a paperless organization, Insurance Management wanted to find a way to collect signatures without having to print, scan, fax and courier or deliver documentation between agents, customers and providers. As well, the solution needed to reduce risk and remain compliant with insurance standards without compromising customer satisfaction or security. The insurance company determined e-SignLive was the right option after speaking to an e-SignLive representative who understood the industry, the companys unique needs and the products capabilities. e-SignLives unique and patented e-Witness audit assurance technology provides secure legal evidence and irrefutable proof of the execution of the financial transaction and the associated e-signed documents. With e-SignLive, the guided e-signing ceremony and process workflow reduce not-in-good-order (NIGO) applications by 90 percent. Policies are properly filled and signed correctly the first time. Insurance Managements sales agent Trever Stoffel uses e-SignLive for applications and cancelations for home, auto, motorcycle and boat insurance. Before, agents needed to follow up multiple times for completion. Not anymore. With e-SignLive its so easy. We check online to see whats been done to-date and when its completed, all we need to do is drag and drop the electronically signed documents to our CRM system. This entry was posted in Which Open Source Blog and tagged Covered, Efficient, Electronic, eSignLive, Fast, from, Group, Insurance, Management, Online, Paperless, Signature, Solution on February 25, 2013 by Administrator. The New Woocommerce Theme Browser at woo-com makes it easy to find the perfect theme fast. The leading provider of plugins and extensions for WordPress ecommerce sites based on WooThemes and WooCommerce recently released the sites latest feature for Woocommerce users, the WooCommerce Theme Browser, at woo-com. The new WooCoommerce Theme Browser was designed to make it easy to search the sites growing collection of highly functional themes for WooThemes.com and WooCommerce.com. Using the new WooCommerce Themes Browser, users can search for specific products by name, product category or by price, making it easy to quickly find the perfect theme. Thanks to the woo-coms latest offering, users of the popular WooCommerce platform can get their online retail site up and running fast, with an easy to browse selection of high quality themes from top WooCommerce developers. The site makes it easy to get a new site operational fast, with a large selection of products designed specifically for the challenging needs of business owners and webmasters. WooCommerce, the ultimate ecommerce solution for WooThemes, offers a fast way of customizing WordPress web sites through WooThemes, which are easy to implement and provide increased functionality for WordPress e-commerce sites. The plug-ins found on woo-com are designed to increase functionality through new features, including social media plug-ins, sliders, coupons and other popular ecommerce tools. Plug-ins can be downloaded directly from woo-com and installed via the administration panel of a WordPress ecommerce site. woo-com.com provides WooCommerce plug-ins, themes, news and tips for implementing using the WordPress platform. The site provides a full listing of plug-ins and themes organized by category and via the sites handy built-in search feature. woo-com.com is the only one-stop location for the latest Woothemes from a growing community of talented developers. Developers can submit new plug-ins and themes directly to woo-com.com, which lists them for sale and offers a credit for those who contribute. For more information, please visit woo-com.com. This entry was posted in Which Open Source Blog and tagged Browser, Fast, Find, Lets, Perfect, Theme, Users, WooCommerce on February 8, 2013 by Administrator. Izo helps runners beat costs with winning deals on wicking fabrics and other technical gear in the fall season. Responding to the popularity 5k races and other running events this year, Customizo.coms online catalogue offers a spectrum of performance apparel appealing to fair weather joggers and seasoned marathoners alike. Participants appreciate swag suitable to the sport, so Customizo offers a discount to event organizers on performance race gear including wicking tees, caps, visors, and bags in which to keep it all. Carrying top tier brands such as Nike, Reebok, and Adidas alongside value options such as A4 and Gildan, Customizos product diversity ensures there is a product for every occasion during the fall running season. 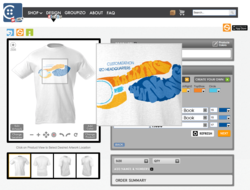 The online Design Studio features a selection of free running and marathon themed customizable templates. Users can also upload their own artwork such as race designs and sponsor logos, or add graphics and text to photos taken using Snapizo, Izo Brands mobile application. About Customizo and Izo Brands: With Customizo, Groupizo and Snapizo, Izo is knitting the framework for the future of e-commerce with a multi-faceted set of innovative product customization and design tools, a unique group collaboration interface, and mobile media distribution applications. Izos mission is to be the most customer-centric, creative, and innovative company in the custom apparel and promotional products industries. This entry was posted in Which Open Source Blog and tagged Custom, Deals, Fast, Gear, Race, Runs on January 1, 2013 by Administrator. iSiteMaker may be the new kid on the block, but they have taken the world of web development by surprise with exceptionally fast turn-around time and unsurpassed customer service. Using the open-source Content Management System (CMS) WordPress, original and captivating templates are forged within a few days of the initial order. To the first 10 clients, iSiteMaker even provides a coupon code for 50% discount on the initial offer. Just use coupon code ‘LAUNCH’ when submitting an order. Affordable Prices: Low prices no longer equate to low quality. iSiteMaker has managed to keep prices low by keeping overhead low and finding only the most effective designers. Fast Turnaround: For businesses that need immediate results, iSiteMaker provides turnaround in just a few days for most projects. No-Hassle Guarantee: The company provides 100 percent refunds to customers that are unsatisfied with their products. The company only asks for a chance to correct the problem and make it right. Support: Many companies consider the project completed upon the customer’s receipt of materials. iSiteMaker provides full support for up to 2 weeks after the delivery of the product. This entry was posted in Which Open Source Blog and tagged Blazing, Development, Energetic, Fast, iSiteMaker, Provided, Results., Startup on November 19, 2012 by Administrator. Bits&Coffee has released BatchPhoto v. 3.0, a powerful all-in-one photo manipulation program for Windows that lets photographers, web designers, business people, and families enhance photos quickly and efficiently. Simply select a group of photographs, and with a single operation annotate, touch-up, apply special effects, convert to different image types, resize, and rename every image in the group. New features in version 3.0 include built-in support for uploading pictures to Facebook, Twitter, Picasa, and websites, a newly-designed user interface, automated processing and manipulation of photographs, and new graphical filters. BatchPhoto easily annotates groups of photos with comments and date/time stamps. Watermark photographs with text, logos, or a combination, to keep them from being abused by competitors or strangers. Touch up groups of photos by changing the contrast, brightness, and color balance. Equalize images, adjust their hue and saturation, reduce the noise in images taken in low light, and sharpen them. It’s simple to rotate, resize, crop, flip, roll, and replace colors in each photo. The software includes a full library of artistic effects, including adding borders, highlighting edges, and shading images. It can emboss, sepia-tone, and solarize images. Easily transform a representational photograph into a charcoal drawing or a simulated oil painting. Add swirls, waves, 3D effects, and more. BatchPhoto is also an image converter program that can read and write more than 170 image file formats, including: JPEG, TIFF, PDF, PNG, GIF, BMP, EPS, TGA, and PSD. It can also read RAW image formats from Canon, Sony, Nikon, Olympus, and Fuji digital cameras. Digital photographer who need to be able to enhance a collection of images with a single operation, real estate or construction professionals who need to process a steady flow of images efficiently, or insurance companies or law firms employees who need to annotate and watermark images for clients, can find BatchPhoto as the right tool for the job. There’s even a Home version of BatchPhoto for the amateur photographer who wants to touch up and enhance images more efficiently. BatchPhoto v. 3.0 runs under Windows 7/Vista/XP. It comes in two editions: Home and Pro priced at $ 34.95(US), and $ 59.95(US) respectively, and may be purchased securely online from http://www.batchphoto.com/. A free trial version can be downloaded from the same web address. Since 2005, Bits&Coffee has been developing and marketing image enhancement productivity software for business and home users. In addition to BatchPhoto, the company also offers Image Espresso, a free online image converter and editor that makes it easy to convert, resize, crop, rotate, touch up, and apply effects to photos and images. This entry was posted in Which Open Source Blog and tagged Editing, Efficient, Fast, Image, Photography, PowerUsers on November 13, 2012 by Administrator. This entry was posted in Which Open Source Blog and tagged BSGs, Commerce, eCommerce, Fast, Merchants, OrderBridge, Payments, PCICompliant, Solution, Track on October 13, 2012 by Administrator. TradeCard, Inc., the supply chain collaboration and global trade platform used by more than 10,000 retailers, brands, manufacturers and service providers, will play a key role in leading the supply chain agenda at the 28th International Apparel Federation (IAF) World Apparel Convention, being held September 24th through 28th in Oporto, Portugal. 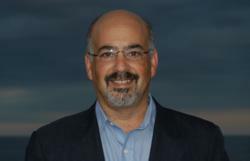 TradeCard Founder, Chairman and Chief Strategy Officer Kurt Cavano will lead a portion of the supply chain program, sharing best practices for evolving sourcing strategies beyond the low cost needle. Long-time TradeCard customer Dr. Harry Lee, Chairman of TAL Apparel, is the featured keynote speaker at the IAF Convention. The theme of this years event is around the changing environment in the fashion business and the supply chain side of the fashion business has seen more than its share of change and volatility recently, said Cavano. Leading brands and retailers today recognize theres more to sourcing strategy than chasing low cost product. Speed, agility, quality, local in-country infrastructure and social and ethical compliance are essential factors to consider in any sourcing strategy today. Well explore these and other key factors at the IAF. Cavanos session on sourcing strategies takes place September 26th at 14.30. The event is being held at the Sheraton Porto Hotel and Spa. My vision is to connect the entire fashion chain, not only producers but also retailers and brands, Harry van Dalfsen, President of the International Apparel Federation (IAF) says. As the IAF is a neutral, non-political organization, we aim to build bridges between the continents and ensure that fashion professionals are making use of a worldwide network. Since 1999, TradeCard, Inc. has transformed global supply chain collaboration by boosting visibility, cash flow and margins for over 10,000 brands, retailers, suppliers and service providers operating in 78 countries. TradeCard delivers a cloud-based network that enables complex, multi-enterprise sourcing transactions across multiple layers of the supply chain. More than 45,000 individual users leverage the TradeCard Platform to streamline transaction flows, from purchase order through production tracking, shipment and payment. Embedded financial services throughout the supply network reduce capital costs and minimize risk. Multi-enterprise collaboration on the platform delivers visibility into the movement of goods, from raw materials to the store shelf. TradeCards on-the-ground trade experts around the world allow entire supply networks to rapidly join and drive value through the platform. The worlds leading retailers and brands, including Levi Strauss & Co., Columbia Sportswear, Guess and Rite Aid, leverage the TradeCard Platform and its member network for sourcing and global trade. TradeCard, Inc. is headquartered in New York City, with offices in San Francisco, Amsterdam, Hong Kong, Shenzhen, Shanghai, Taipei, Seoul, Colombo and Ho Chi Minh. TradeCard is located online at http://www.tradecard.com. This entry was posted in Which Open Source Blog and tagged Apparel, Best, Chain, Changing, Fast, Practices, Share, Supply, TradeCard, World on September 29, 2012 by Administrator. Fast Lane Commission, a new affiliate web-based application, which is claimed to come out on Tuesday, September 11, 2012. This application is developed by two well-known marketing experts, Francis Taylor and Tom Geller. This program might help online marketers to speed up the process of online marketing from scratch. With Fast Lane Commission, affiliate marketers can earn commissions by promoting both physical and digital products from Amazon and Clickbank marketplaces. This program helps marketers create higher converting consort websites, drives traffic, and makes product sales more effectively. Fast Lane Commission program has received many raving reviews as well as positive feedback. The website BusinessReviewCenter.com decided to get a copy of Fast Lane Commission from the authors and then completed a comprehensive review about this program. A full Fast Lane Commission Review on businessreviewcenter.com shows that Fast Lane Commission contains profitable niches with recommended keywords that users might be interested in, and a list of products from Amazon and Clicbank marketplace. Moreover, the program offers an impressive list of articles, which is available for spinning to create unique content, a list of videos that can be used to create one’s money sites, and a list of available templates for creating affiliate websites or blogs. Thus, Internet marketers do not have to spend countless hours or even days wondering which niche should be targeted, or to purchase the latest keyword research tool to figure out the right set of keywords for their blogs. Jenny Edward from businessreviewcenter.com states that: “If people hope to have a quick way of doing things online, they can follow the techniques that lay out by this Internet marketing tool. Even if they only have this software at hand, they might earn a good amount of money as affiliate marketers. If the users are not getting positive results from Fast Lane Commission, they can get their money back within 60 days”. To get access instantly to the complete review, which has a comprehensive list of advantages and disadvantages of Fast Lane Commission program, one should visit: http://businessreviewcenter.com/e-business/fast-lane-commission/. About the company: Business Review Center (businessreviewcenter.com) provides affiliate marketing tools and tips, and reviews about business news, and e-books. People could contribute their ideas and feedback on any digital products to Tony (the founder of Business Review Center) via email. This entry was posted in Which Open Source Blog and tagged Business, Center, Commission, Fast, Geller's, Lane, Marketing, Online, Program, Review on September 28, 2012 by Administrator.